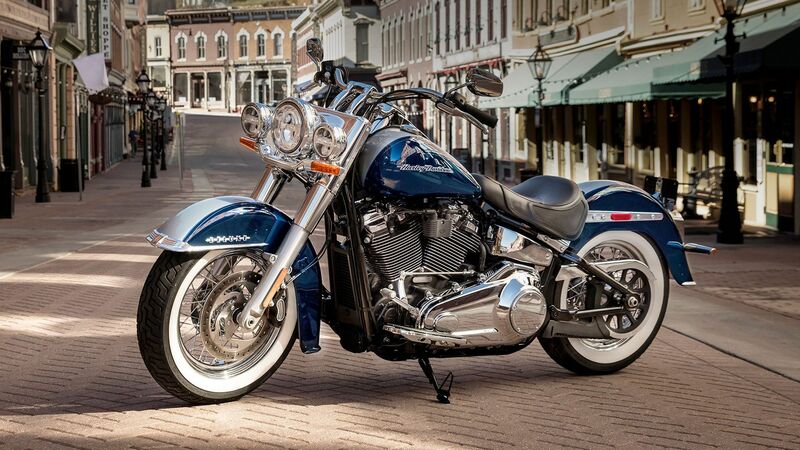 The look of the Softail® Deluxe has always been deluxe. It’s the classic showstopper — born to stand out on a run down the Vegas strip. Now, underneath the bright chrome, you’ve got the ride of a seriously modern machine. Thirty-one pounds lighter, easier handling, massive power and acceleration, and all-day comfort. Everything a rider expects that technology can deliver. It’s a combination of vintage style and modern know-how unlike anything that ever hit the boulevard, set to the sound of the Milwaukee-Eight® 107 V-Twin engine. Settle into the comfortable new seat and grab the pullback handlebars. Start the show.